September is a kind of “take a breath” month. It’s a busy time, but not crazy like the summer months when young livestock and garden care seem to take every waking moment. Baby animals have been weaned and are growing steadily. The garden is still bearing and final harvest is a month away. The weather is cooling nicely and the leaves are beginning to turn. In September we can do some catch-up work and repairs that have been put off over the summer. 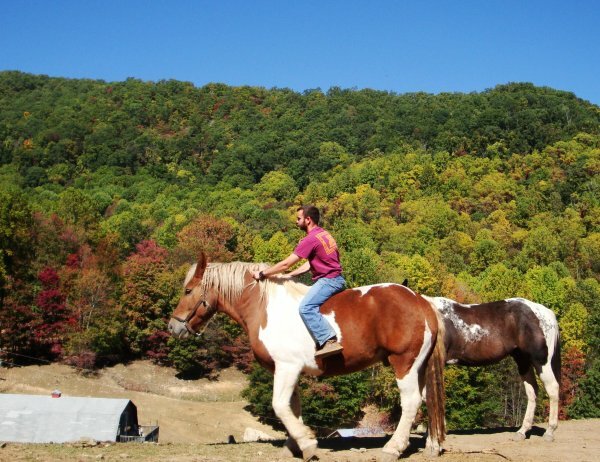 We can enjoy a little leisure, too, like a mountain walk or an impromptu ride in the pasture.